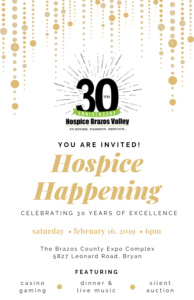 Hospice Brazos Valley will be celebrating 30 years of service with its annual Hospice Happening, occurring this weekend in Bryan. The annual fundraiser takes place Saturday at 6 p.m., at the Brazos County Expo Complex. The event will feature a night of dinner, live music with the Texas Unlimited Band, casino games, and a silent auction. 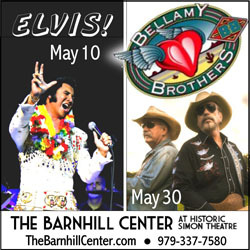 Funds raised at the event will go towards supporting Hospice Brazos Valley’s families and patients. The Brazos County Expo Complex can be found at 5827 Leonard Road in Bryan. 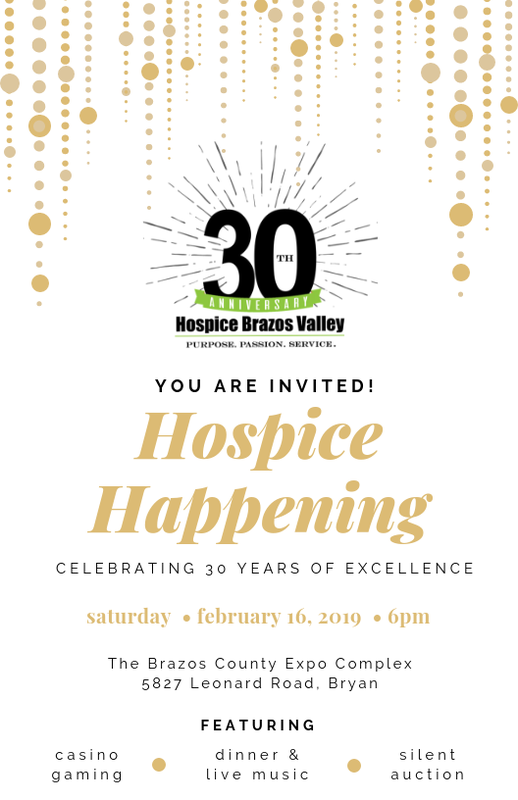 To learn more, email events@hospicebrazosvalley.org, or call 979-821-2266. You can also visit their website at www.hospicebrazosvalley.org. 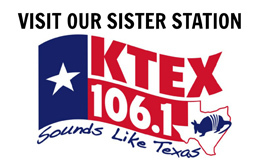 KTEX-106 and KWHI are proud sponsors of Hospice Happening. KTEX-106’s Holly Ryder will be there Saturday night, in the friendly country cruiser.